The Sport Psychology Movement Institute (SPMI) is South Florida's premier mental toughness training company for athletes of all sports, ages, and skill levels. At SPMI, athletes develop a champion's mindset while learning research based mental toughness skills to help overcome every competitive situation. 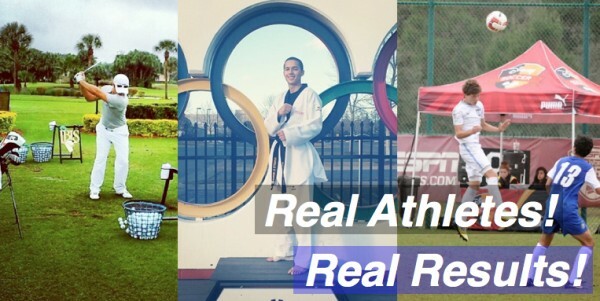 Currently, we work with over 50 different sports in 4 locations throughout South Florida. For athletes who are located outside of South Florida we provide online mental training where athletes from anywhere in the world receive 1-on-1 sessions from an SPMI professional. In addition to our 1-on-1 mental training services, SPMI also offers group training sessions for teams, schools, academies, businesses, and more. What makes SPMI superior in athlete performance is that we develop programs specific to the athlete's needs. Our athletes are able to learn, practice, and apply mental toughness skills and winning mindsets into their daily practice and competition settings. SPMI's mental toughness training program has over a 97% success rate. Athletes receive comprehensive pre- and post-evaluations, learn sports psychology research and science-based skills, discover underyling factors that affect their performance, and develop customized routines and mental toughness training schedules. Therefore, athletes learn how to apply what they learn to enhance their mental game, making it automatic and long-lasting. In addition, to athlete mental toughness training, SPMI also works with parents and coaches to improve their role in the athlete's life. Parents who work with SPMI discover what is needed to help their athlete perform at a higher level while improving their personal relationships outside of the sport with their child. Coaches who work with SPMI learn valuable lessons on how to improve their role in developing successful athletes such as; improving communication skills, leadership, and developing professional routines among others. In addition to working with athletes and their team, SPMI provides mental toughness programs for businesses, specializing in enhancing the mental toughness of leadership and sales teams. The corporate mental toughness program helps companies increase sales through strengthening the mindsets of company members and providing them the fundamental skills to attack the fears that hold them back from every day optimal productivity in the workplace. At SPMI, our mission is to provide athletes with the missing link to finally achieving the title of the complete athlete. One who is technically, tactically, physically, and now MENTALLY trained to take their game to the next level. SPMI takes pride in helping every athlete develop long-lasting mental toughness to help them excel throughout their athletic career and beyond. Top Junior Tennis Player, Hailey Baptiste Trains her Mental Game at SPMI via Online Mental Training. Hear, one of her mental techniques she learned at SPMI that helps her stay calm under pressure on the biggest stage in tennis. SPMI is a sports psychology company that works with athletes from over 25 different sports and all levels from amateur athletes to world-class professionals. At SPMI, athlete's become better mentally in sports, academics, and in life. Check out this video to hear a few testimonials about how SPMI has helped their mental game and overall performance.